Wonder Comics’ debut comic, Young Justice #1, is a rollicking reintroduction to the teen superhero team, but it’s an issue rooted in continuity and geared toward old fans who haven’t seen these characters together in years. Naomi #1 (DC Comics) is something new, taking readers to the Portland-esque locale of Port Oswego, Oregon, where nothing super ever happens. Until Superman crashes through for seventeen seconds during a battle with Mongul. 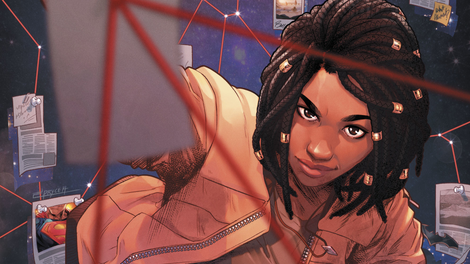 Co-written by Bendis and David F. Walker with art by Jamal Campbell and letters by Josh Reed, Naomi follows an adopted 17-year-old girl eager to learn about her past. She’s galvanized by the brief appearance of the world’s most popular adopted son in her hometown, setting her on a path that could potentially change the course of her life. Naomi’s co-writers teach together at Portland State University, and their first comic-book collaboration showcases how well their storytelling styles mesh. They both have a talent for quick, playful banter, and this first issue strikes a fine balance between dialogue-heavy scenes and stripped-down moments that immerse readers in the setting or a specific state of mind. When Naomi looks for news stories about Superman and Mongul’s fight and finds nothing, Campbell accentuates her confusion with a series of panels that frantically tumble across the page, free from any sort of structure. Long-time readers of Bendis will recognize certain storytelling tricks like pages of different talking heads delivering single lines of dialogue, but he’s also exploring inventive ways of using page layouts to convey information with the rest of the creative team. Naomi #1 introduces readers to Port Oswego with three consecutive two-page spreads, beginning with a full splash of Superman and Mongul charging into the downtown area. That same image breaks into three separate panels to create sequential action as the fight continues, and then five panels as it reveals the town dealing with the aftermath the next day, grounding the reader in the environment as Naomi and friends walk through the wreckage. Campbell has quietly built a reputation for remarkable superhero artwork in books like Green Arrow and Prowler, delivering thrilling action, engaging characterizations, and striking digital coloring that adds drama and dimension to his clean linework. He has all the makings of a superstar artist, and Naomi is a high-profile release that will ideally bring him the recognition he deserves. The aforementioned pages of talking heads showcase the range of his expressions and characters designs, which make Port Oswego come to life in the group scenes. He also has a sharp eye for graphic design elements, using speed lines and benday dots to add texture and energy to his artwork. In regards to the larger town population, it’s notable that Naomi is the only black character we see in this issue, which further distinguishes her from the people around her. This othering doesn’t get much attention in this first chapter, but given how Walker has explored racial dynamics in previous works—including his current excellent Image Comics series, Bitter Root— it’s very likely that this will come into play down the line. 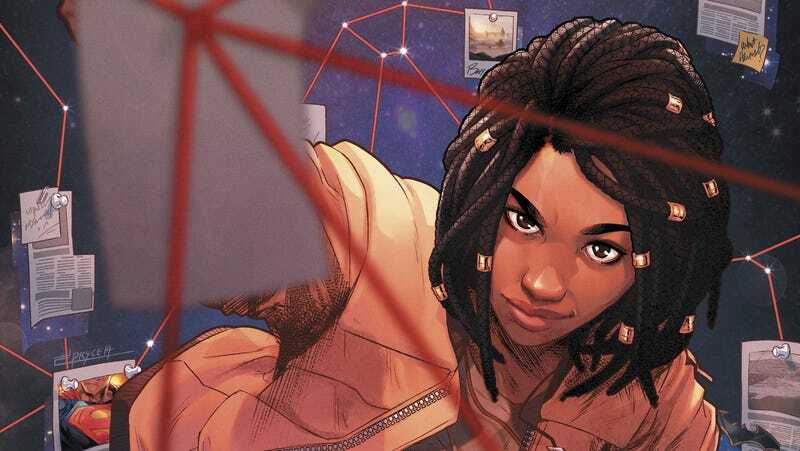 Naomi #1 lays a lot of intriguing groundwork to be explored as the central hero discovers more about herself, exploring different aspects of the imprint’s name by blending wonder and wondering.